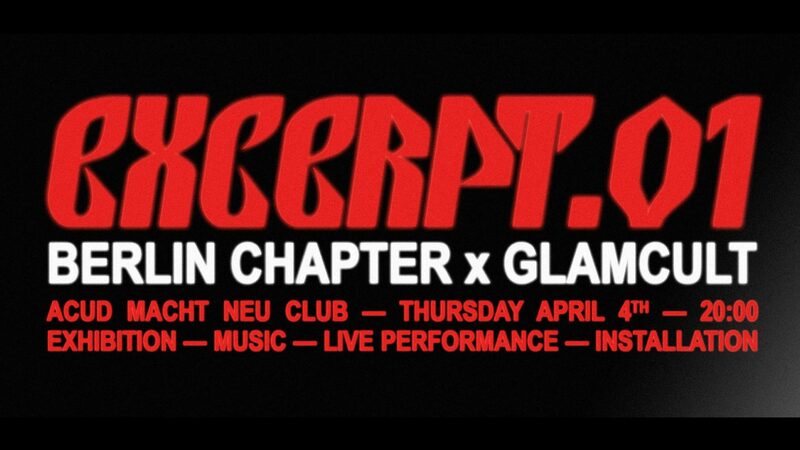 The second chapter of excerpt.01 will commence in Berlin. The project is built around a video, working with several artists active in the realms of performance, music, visual arts and fashion. 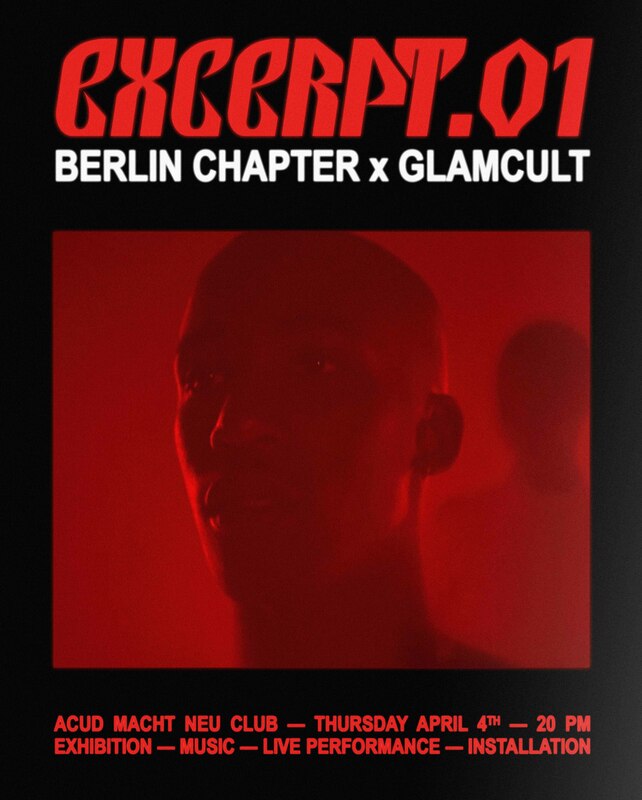 After showing the tip of the iceberg with a video-based installation at the Glamcult Magazine issue launch in Amsterdam, the event in Berlin will invite all the involved artists to make a contribution and screen the fashion film. The newly founded fluid production studio from Amsterdam will release it’s second chapter in Berlin. Bringing together a wide range of disciplines, excerpt. puts the focus on creative exchange and collaboration. At just 19 years old, born-and-raised Brazilian LYZZA is taking over the experimental club scene. She’s a DJ - Producer - Vocalist and curator with ties to Fade to Mind (US) and Bala Club (UK). She’s become a familiar face during radical and underground club nights as a DJ and has been seen on line-ups alongside names like Fatima Al Qadiri, Evian Christ, Le1f, Yves Tumor and SOPHIE. Since recently also Mykki Blanco’s tour DJ. ... is a multidisciplinary artist who sculpts the spaces and environments around us to create experiential landscapes. Nikki does not merely focus on representation, but rather engages with the present moment to create abstractions of memories and lived experiences. His work moves between reality and the metaphysical—in search of other worlds and new dimensions. ... is a progressive platform that offers sincere and trend-defying content. We thoroughly explore the front lines of avant-garde culture by collaborating with those like us: at liberty and unanswering to authority. Our content is created by influential, carefully selected individuals who can’t be regulated by normative social, political, and/or geographic factors.